☀Now！go outside-Enjoy the sun and your holiday. 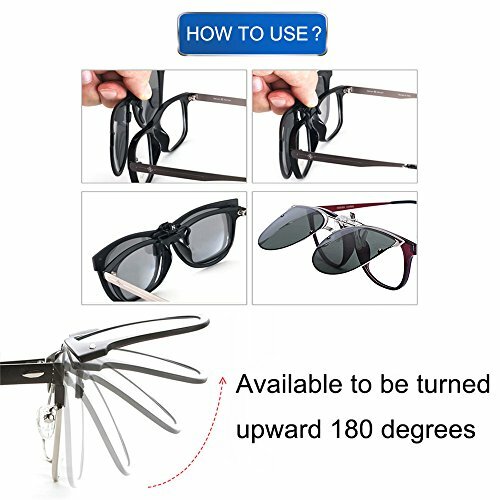 ☀Specially designed polarized sunglasses for myopic people.--This polarizing clip works just like the expensive prescription sunglasses in the market. Makes your myopic glasses turn into sunglasses easily. 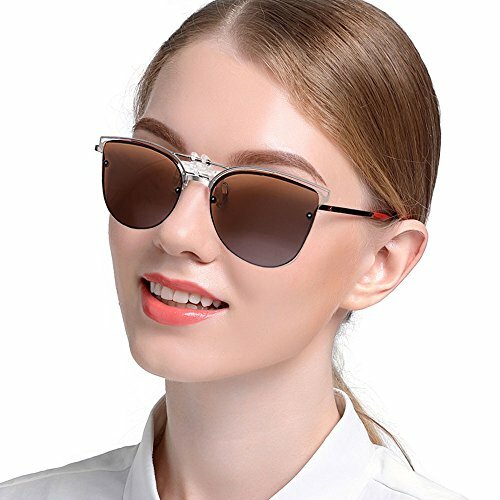 ☀Perfect fitting design, comfortable wearing--perfectly covering your prescription glasses, available to be upturned 180 degrees. You don't need to take off your glasses. 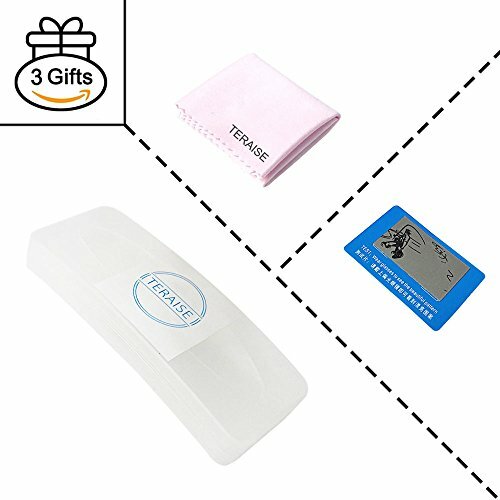 ☀What You Get--Sunglasses clip, glasses case, high quality cleaning cloth, polarized lens test card, 18-month quality guarantee and thoughtful customer service. Perfectly solve the problem of myopic people. Makes your myopic glasses turn into sunglasses easily. 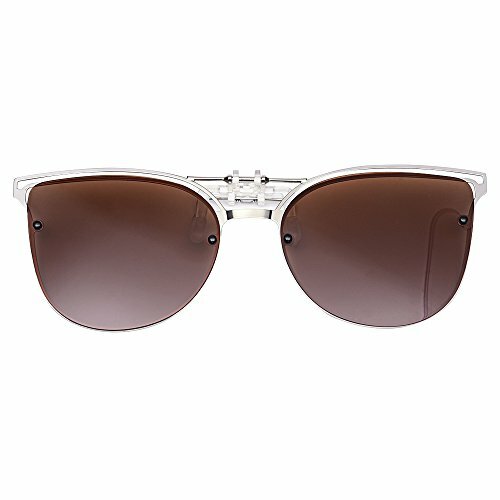 Protecting your eyes from dazzle light-- HD polarized lenses, preventing dazzle light, reflected light, relieving eyestrain, filtering dazzle light, parasitic light, stopping UV light, protecting eyes and guarantee safe travel. Suitable for cycling, driving, running, fishing, racing, skiing, climbing, hiking and other outdoor activities. 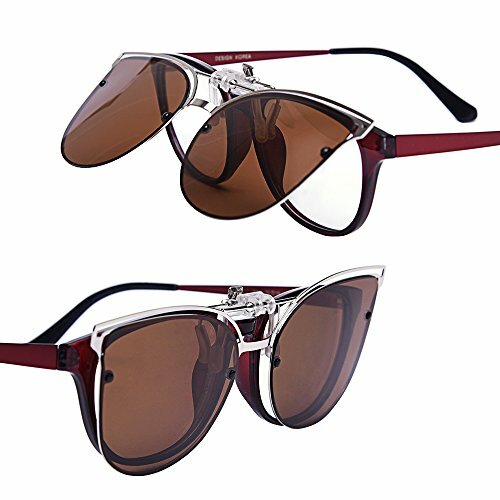 - UV-proof, effectively prevent eyes from UV harm. 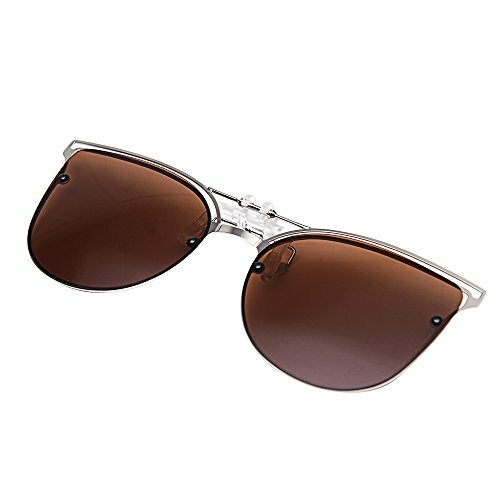 - Anti-glare, filter car headlights. 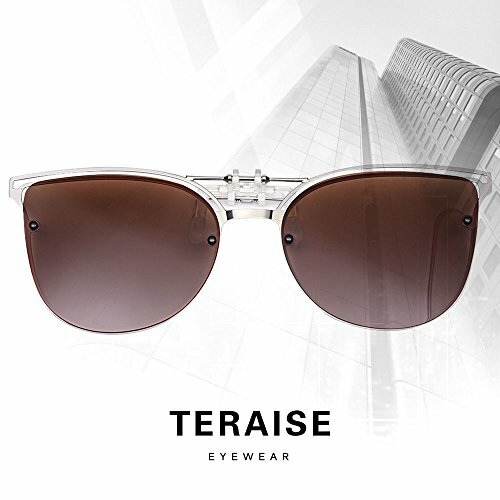 - HD lenses, providing clearer view, real color and scenery. 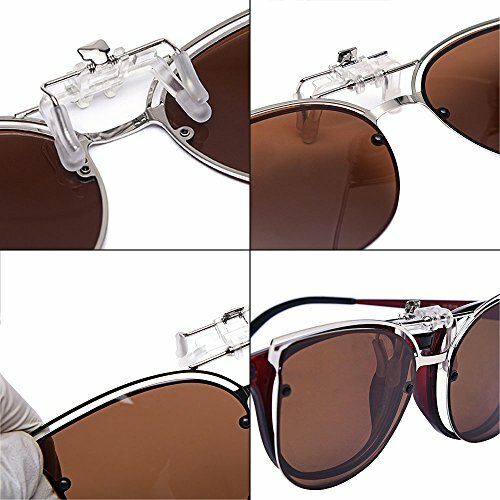 - Polarized lenses, you can wear the glasses to find the hidden fish in Polarized lenses testing card. 1.Measure the height and width of your glasses frame (including frame part). 2.Compare the measured data to the clip data and select the clip which is a little bigger than the glasses.